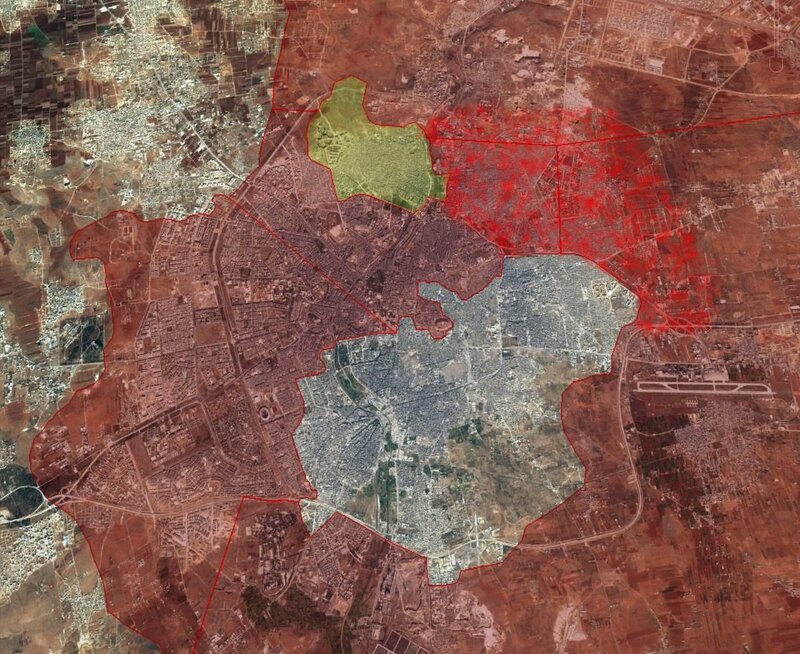 DAMASCUS, SYRIA (9:50 A.M.) – The jihadist rebels of Fatah Halab are crumbling inside the eastern pocket of Aleppo tody, as they continue to lose district-after-district to the Syrian Arab Army (SAA) and their allies. 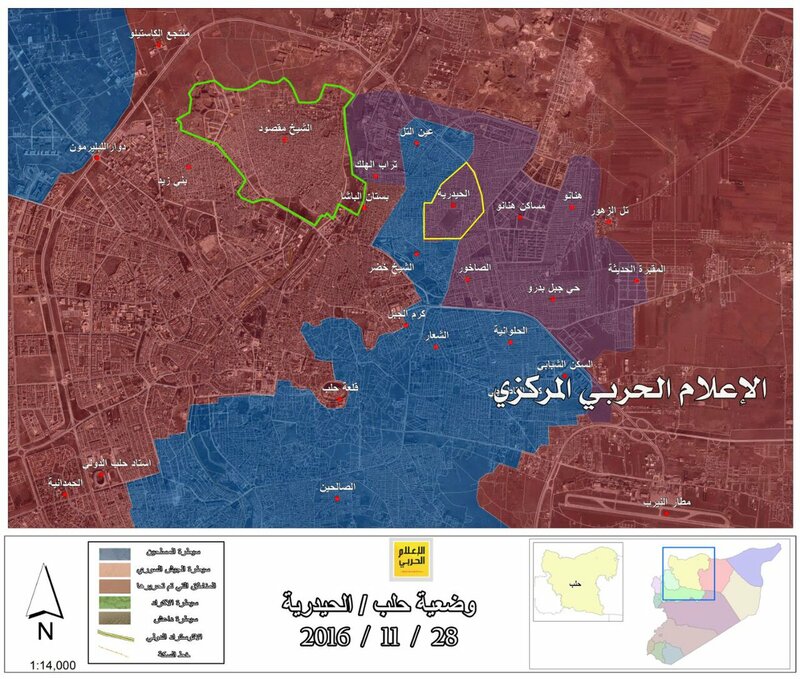 Approximately two hours after announcing the capture of the Haydariyah Neighborhood, the Syrian Arab Army broke-through Fatah Halab’s front-lines at Sakhour, resulting in the complete seizure of this strategic district and longtime jihadist stronghold. 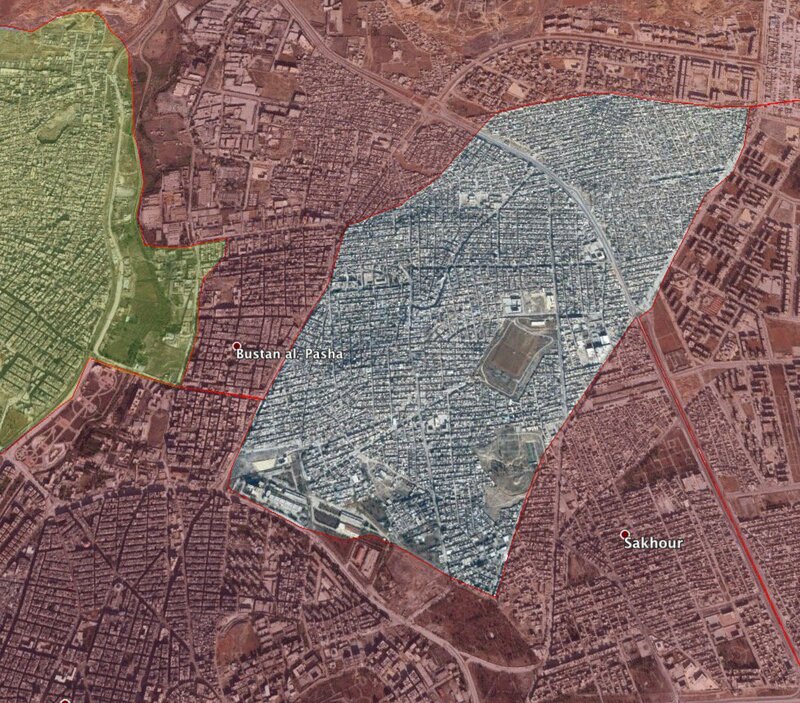 Reports from Aleppo City indicate that several jihadist rebels from Harakat Nouriddeen Al-Zinki have surrendered to the Kurdish-led People’s Protection Units (YPG) near the Sheikh Maqsoud District; this was done so that they could avoid capture by the Syrian Arab Army. As a result of today’s advance, the Syrian Armed Forces have now secured 45 percent of the Aleppo pocket that was originally under the control of the jihadist rebels. 45%. Very good indeed. Fabulous. According to Jihadi-Julian, Bustan al-Pasha fell too. Julian will need Prozac and Zoloft in the coming months. Last map update… Live domino theory! Civilians fleeing east-Aleppo entering s*x Maqsud in HUGE numbers.